I finished Shadow of Mordor recently so I started looking ahead at other fall releases on my calendar. I realized Assassin's Creed Unity is out soon and I hadn't finished Assassin's Creed: Black Flag. I was still in the mood for some open world antics so I jumped back into my AC: Black Flag playthrough and picked it up where I left off. 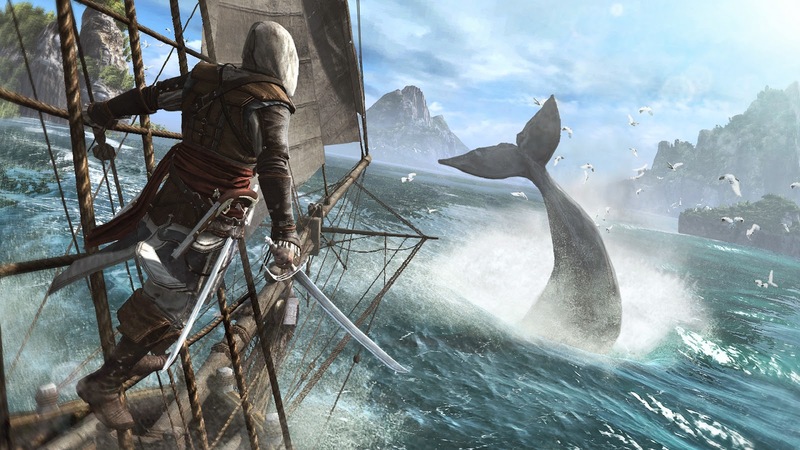 Unfortunately, the main campaign of AC: Black Flag is really weak. Looking through my archive, it doesn't seem like I even mentioned the game when I was playing it last year. I have it for Wii U (because it was my only living console at the time) and I had put in over 30 hours. I don't regret any of those hours I sunk into the game, because it's the best pirate simulator out there. The open world exploration and pirating is so extremely fun. I never got tired of seizing ships and stealing their goods. The naval combat engine is fantastic and the feeling of being a pirate is just a ton of fun. This time I was in it to finish the game, not to mess around in the open world, and that revealed how weak the story actually is. I had played more than 30 hours and was only on Chapter 4 of the story out of 12 total Chapters. I marathoned the rest of the game by doing story mission after story mission. Even after finishing the game I never truly cared about the characters, they just weren't relatable in the same way they have been in past Assassin's Creed games. But, I finished the game! I flipped back over to my PS4 to see if there was anything else I wanted to check out before I dive into FFX HD and I noticed Assassin's Creed: Freedom Cry was on sale. 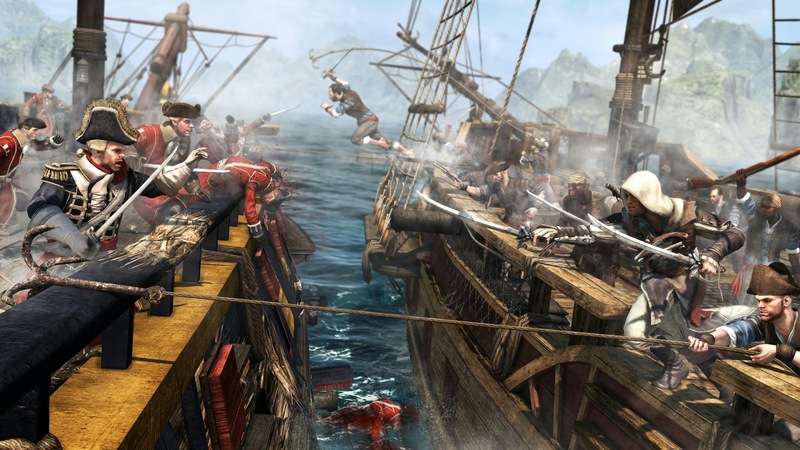 It's a stand alone expansion for Assassin's Creed: Black Flag. I quickly looked up some reviews and they said it was a quick adventure with a better story than the main game it was based on. It could just as easily be called Assassin's Creed: Slave Liberator. It's all about the slave trade in the Carribean during the mid 1700s. It actually has a compelling story with a main character that seems to have more personality than the main character from Black Flag. It's a quick 4 hour game and I finished it in one playthrough. I really enjoyed my time with it, much more than I enjoyed the campaign in Black Flag. There's not problem with a 4 hour game. I actually appreciate it these days when a game doesn't overstay it's welcome. Now I'm mentally ready for Assassin's Creed Unity. Would I recommend Black Flag or Freedom Cry? Yeah. Black Flag is the best pirate simulator you can find. If that interests you, definitely pick it up. If you want an engaging, but quick, Assassin's Creed narrative you're much better off with Freedom Cry. It depends what you're looking for, but they're both good games. But, to see something new and interesting in an open world setting I still think your best bet is Shadow of Mordor. Playing these three games back-to-back put that into perspective. Right now, if I were going to play around in an open world I would jump back into Shadow of Mordor. The Nemesis system is just really cool. I love messing with the orc army and having enemies emerge organically. I felt more connected to some of my enemies in Shadow of Mordor than I felt toward the main character of AC: Black Flag. I might just go back to Mordor and mess with the orcs again soon.